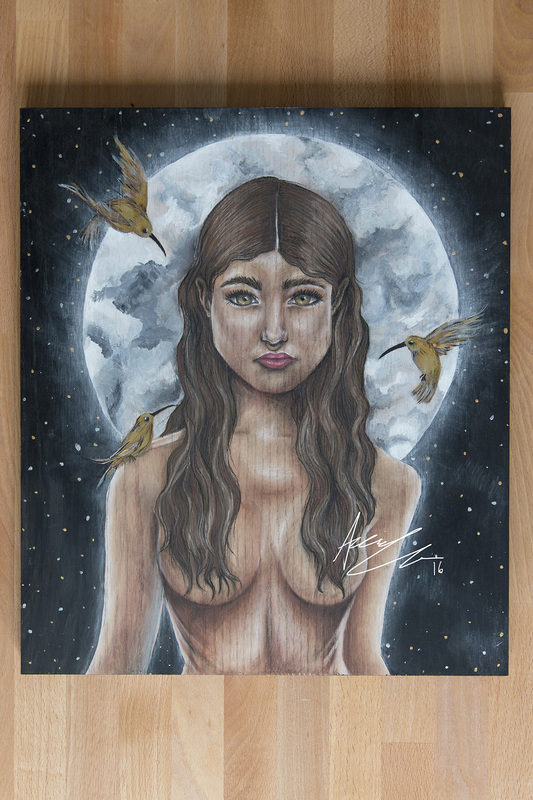 18″ x 24″ – Acrylic, Metallics, Watercolour, and Conte on a solid Oak panel. Golden Moon was created with a scrap piece of my custom built light-table. It is my first piece on wood and I adored the learning curve associated with the wooden texture and how it reacts to the materials I regularly use on some form of paper. Glenn Arthur Art & Wendy Ortiz are my main inspirations for this piece.